Beading beauty! 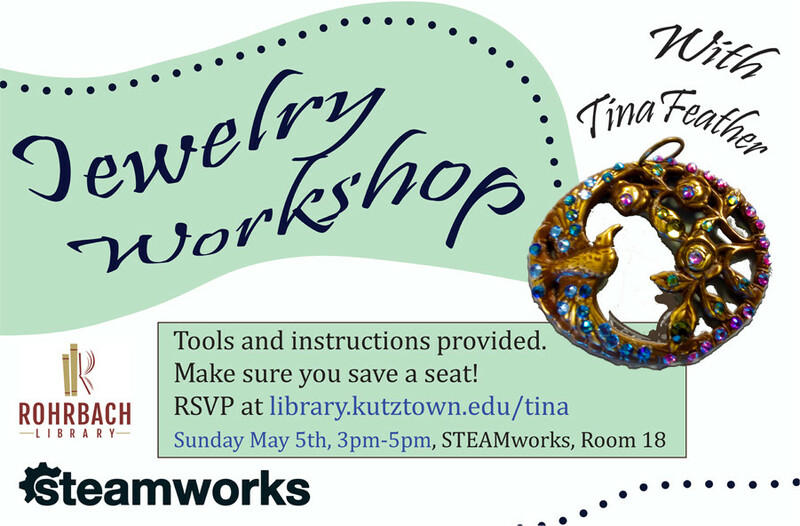 On Sunday, May 5, sign up to have fun making jewelry, with an amazing assortment of beads, charms, and gems to choose from! Sign up now to reserve your spot!. Occasional Sunday afternoon workshops at STEAMworks get your creative juices flowing for the week ahead. Start your week with a creative burst! Occasional Sunday afternoon workshops give you a chance to have fun making—with a gentle hand to guide you and a lot of friendly folks beside you. 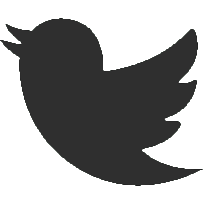 Check our calendar to see what's ahead. 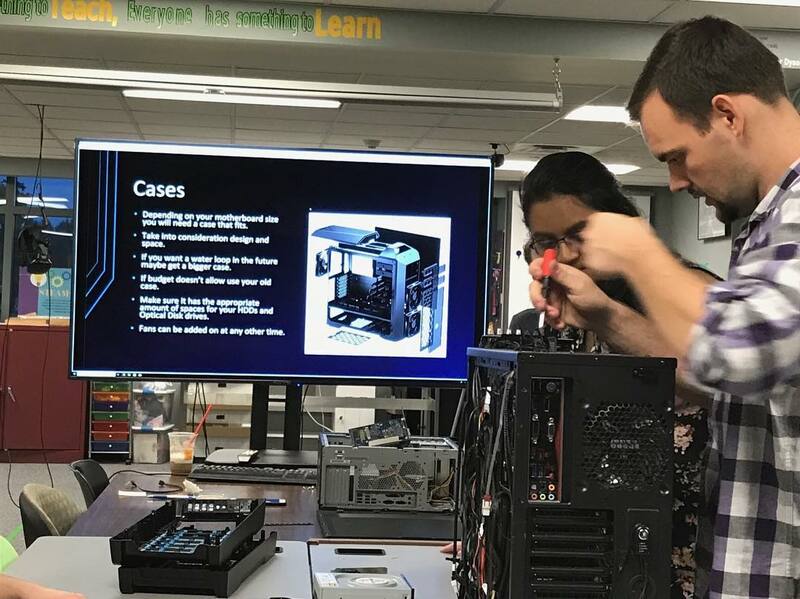 Data science, electronics, creativity The Kutztown Technology Association's resident wizards teach and lead fascinated participants through activities from PC-building, to soldering workshops, to understanding blockchain concepts. VR for Fun & Learning Think VR is not for people like you? Odds are you’re mistaken! Click to book an expert STEAMpunk tour guide. Set up a date to meet with a STEAMpunk to see how. 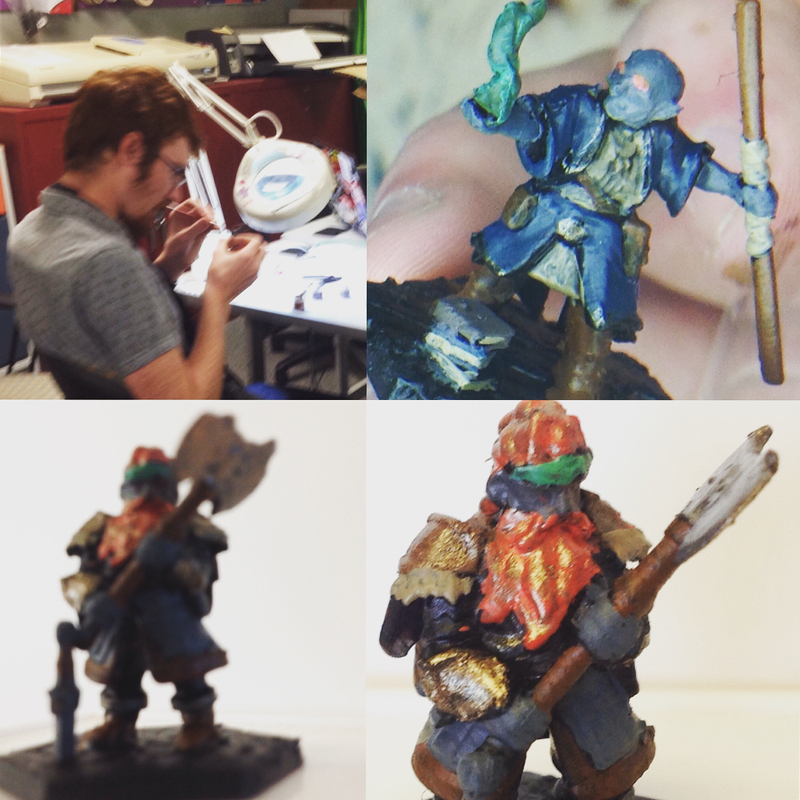 If we can print it on a 3D printer, chances are you can paint it. All it takes is a good eye, a smooth and steady hand, and a lot of patience! Stitching is enriching! 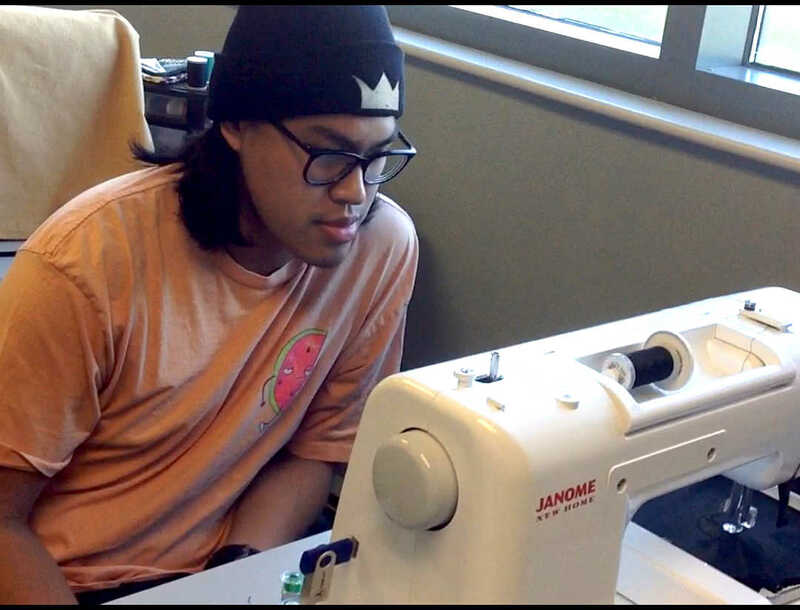 Come in to learn and to make your dream costume! 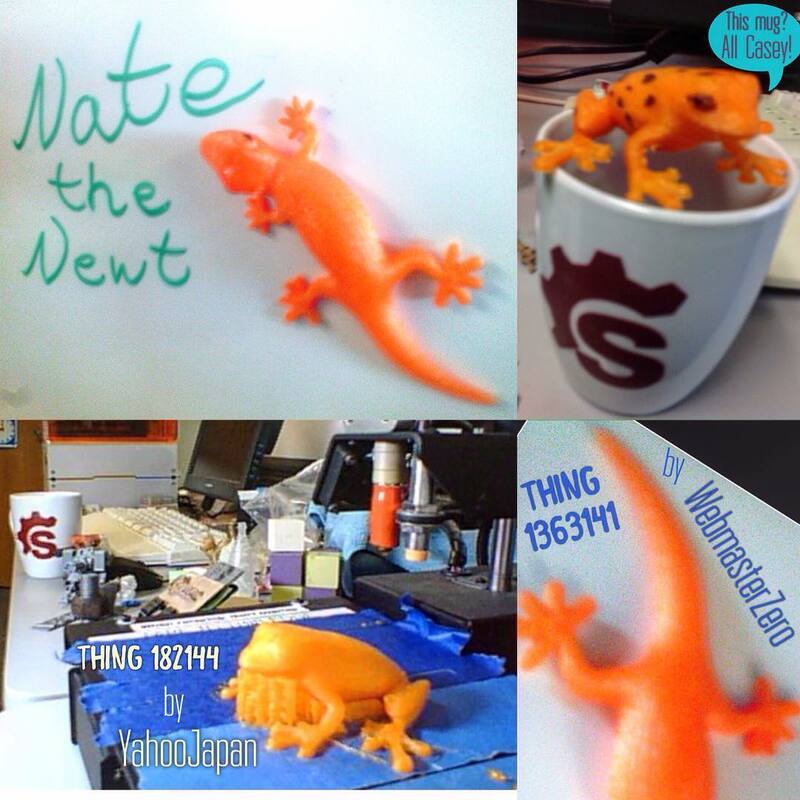 If you can think it, maybe you can print it! Come for workshops and one-on-one sessions to learn about designing objects in three dimensions and printing them in glorious plastic. Make the best impression! 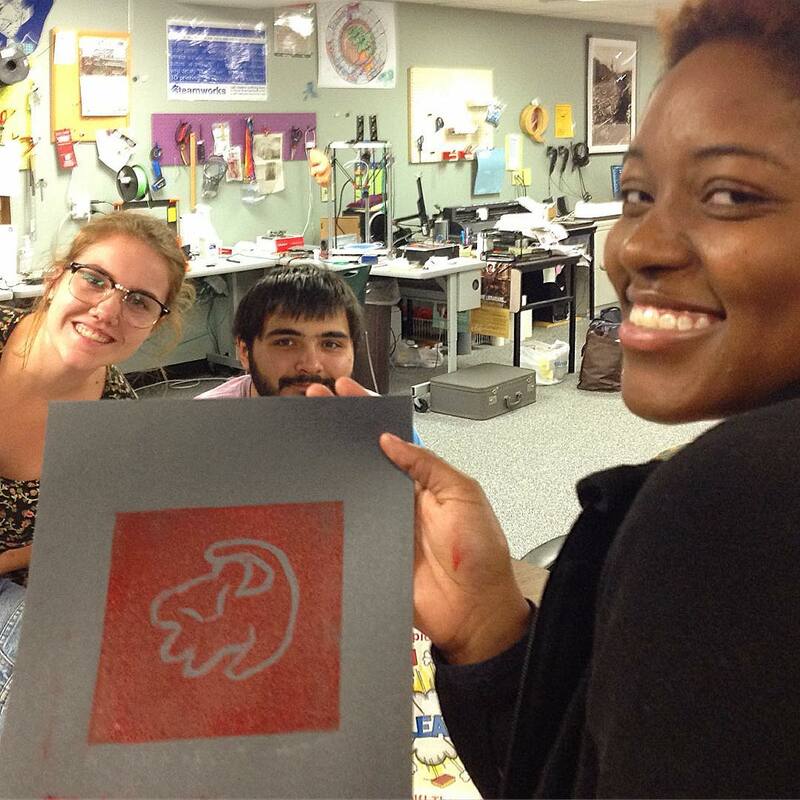 Come in to learn to carve and to ink linoleum with an expert whose passion is contagious. 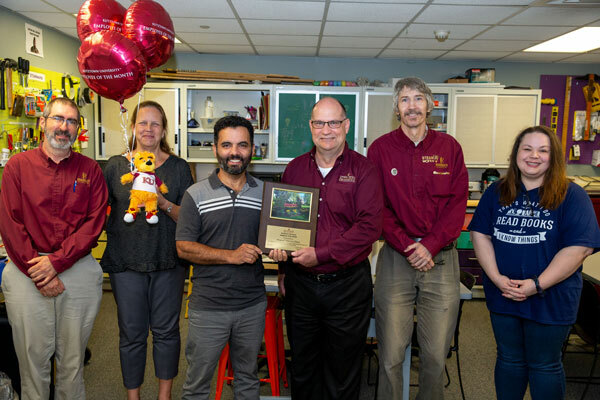 STEAMpunk Miguel Nieves honored by President Hawkinson! Buttonmaking Schedule a quick session for pro tips about designing for, and using, our button maker. 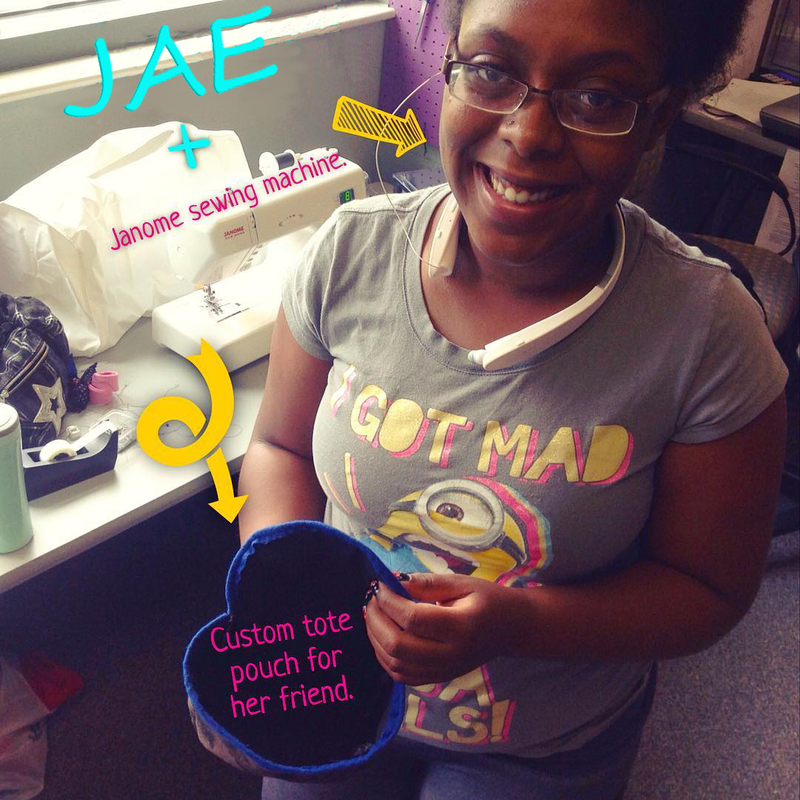 Learn ways to get your message on a backpack, or lots of them! Greenscreening Your World See how to put yourself (or your 3D-printed Eiffel Towers) anywhere in the universe! In a photo or a video, anyway. Let us know if these times don't work for you. What is S T E A M ? The STEM acronym, applied to high-tech fields of study, has become increasingly familiar outside the world of education. Mentioned by name in several State of the Union speeches, STEM drives initiatives which prepare us for what the former President called "jobs of tomorrow." Wise educators and technologists alike have long recognized the importance of art and design to the STEM fields, as well as to life itself. 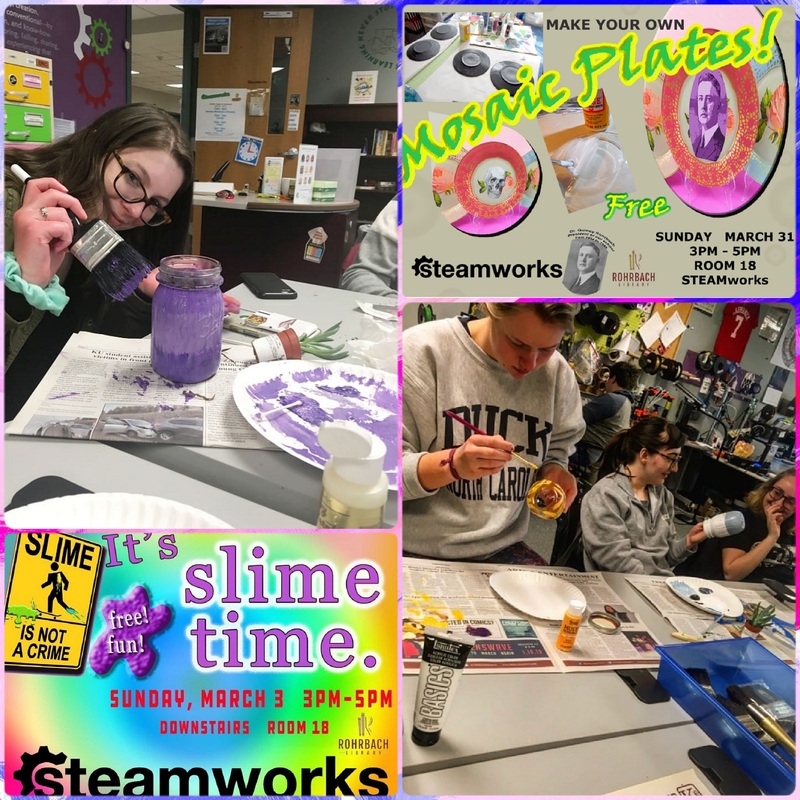 For us, STEAM suggests energy, heat, and motion - the acronym could just as easily be TEAMS in light of the collaboration and mutual support that this makerspace and many others strive to foster. Got a Group? Plan a Visit! Even though our room holds dozens of happy people, herding your posse in by surprise can create a situation that makes some of them uncomfortable. 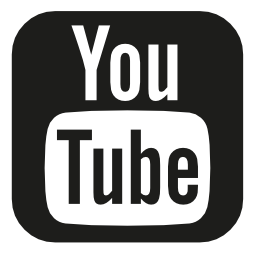 Check our calendar to see what else might be happening in here, and feel free to email or call us at 484-646-4175. The Kutztown Technology Association is a student chapter of the Association of Information Technology Professionals (AITP). Weekly meetings are held on Thursdays in STEAMworks (unless otherwise noted) to talk all things tech. They are open to tech and non-tech majors alike! A remarkable feature of STEAMworks is our HTC Vive. 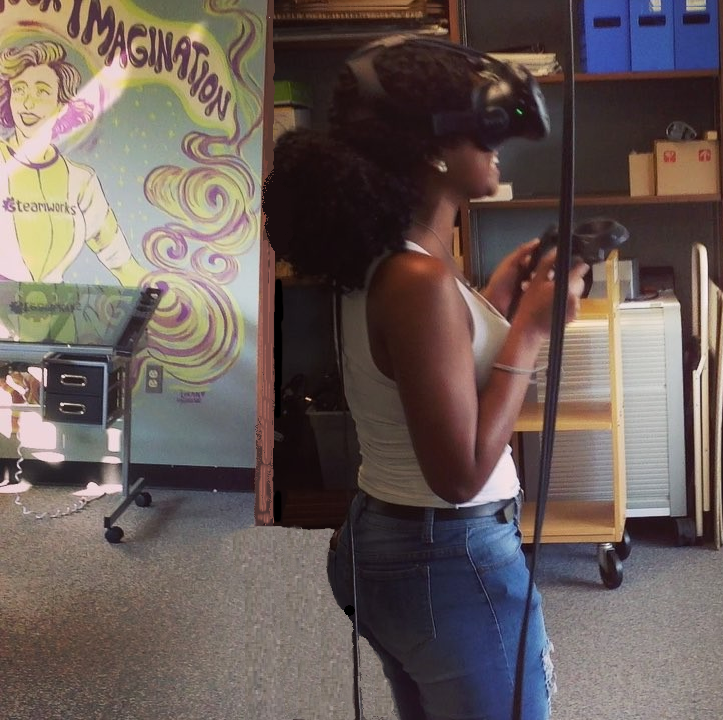 The first public VR setup in the PASSHE system has more than 50 games to keep creativity, discovery, and crazy fun in play. It's free and open to all. We ask only for your signature (or that of a guardian, if you're not yet 18) on this waiver form. An infrared motion detector logs people passing in and out. Not a count of unique humans who visit STEAMworks, but a useful time-based tally of traffic through the door from day to day. To encourage discovery, creation, and learning—beyond the conventional—by supplying. tools, inspiration, and know-how to spark the making, exploring, failing, sharing,trying-again, teaching and experiencing that make for a rich education.